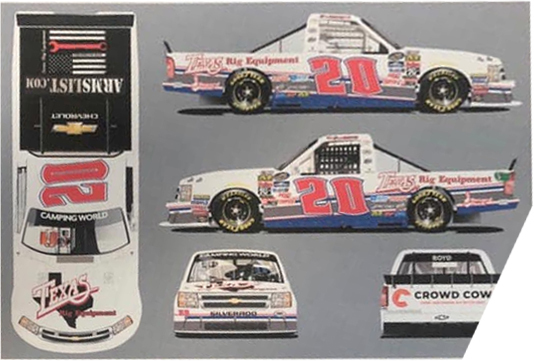 Discussion in 'Camping World Truck Series Paint Schemes' started by Wacky Racers, Feb 5, 2019.
joeykraus19, KodaTheWolf, BrendonH12 and 1 other person like this. joeykraus19, puckhogg11, Reza Maulana and 2 others like this. A crude image of the full layout from Texas Rig Equipment's Facebook page, originally printed on a piece of paper.